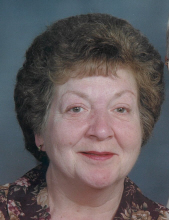 Her Legacy…Jeanne Marie Barry, age 76, passed away February 9, 2019. She was born on January 30, 1943 in Detroit, Michigan to William and Cecelia (Ouelette) Forgie. Jeanne married the love of her life, James Barry on June 11, 1966 in Detroit, Michigan, together they raised two children. Jeanne was known to be a people person, she loved children. She volunteered for a number of years with Huron Valley Girl Scout Council and the senior center in Dexter. She will be remembered for her good and kind heart. Her Family… Jeanne will be missed by her husband of 52 years Jim Barry; children, Karen (Ted) Powers, Jim (Amy) Barry; siblings, Tom (Helen) Forgie, Kathy Ewing; beloved grandchildren, Brent, Tanner, and Brinlee Barry, Nathan and Kaila Powers; many nieces and nephews. She was preceded in death by her parents, William and Cecelia Forgie; and brother, Jack Forgie. Her Farewell… Jeanne’s family and friends will gather 2:00-4:00PM and 6:00-8:00PM, Wednesday, February, 13, 2019 at Dexter United Methodist Church, 7643 Huron River Dr., Dexter, MI. Her Community Farewell will be held on Thursday, February 14, 2019 at 10:00AM at Dexter United Methodist Church. Pastor Steve Bringardner will serve as celebrant. Memorial contributions are suggested to Huron Valley Girl Scout Council or Dexter United Methodist Church. Please leave a message of comfort for Jeanne’s family at 1-877-231-7900, or sign her guestbook at www.borekjennings.com. To send flowers or a remembrance gift to the family of Jeanne M. Barry, please visit our Tribute Store. "Email Address" would like to share the life celebration of Jeanne M. Barry. Click on the "link" to go to share a favorite memory or leave a condolence message for the family.